Moving right along in this series on homophones — words that sound the same, but have different meanings and spellings. These are problematic for writers because, unless they know the difference, they can result in spelling errors that spellcheckers can’t catch. We’ve covered A through G. This post will quickly cover the H’s. Hail has two distinct definitions. It can refer to the icy rain that falls in pellets, or, as a verb, the act of hail falling (When it hails, it hails hail.) To hail can also mean to call out to get someone’s attention or to praise or honor him. Hale is an antiquated word meaning healthy and fit. As it began to hail, I hailed a taxi for my old grandfather, who was not as hale as he once was. Bugs Bunny cartoons used to play on these words all the time. The stuff that we see barbers and stylists about is hair. The rabbit-like creature is a hare. Despite popular belief, hares have fur, not hair. The indoor passageway or room for assemblies is a hall. To drag or carry something away is to haul it. Haul can also be a noun meaning the distance covered when hauling something (a long haul), or stuff gained or acquired with a single effort (a nice haul). I had to haul the bag of trash down the hall. You put airplanes in hangars and store clothes in closets on hangers. To get to the airplane, I used a hanger to pick the lock on the hangar door. Hay is for horses. Hey is for getting someone’s attention. Hey, is that yellow stuff hay? When something recovers or gets better, it heals. The back part of a foot, shoe, hand, or glove is the heel. He’ll is pretty self-explanatory. It’s a contraction for he will. He’ll limp until his heel heals. When you make use of your ears, you hear. Here is an adverb showing nearby location. The shouted expression, by the way, is Hear, hear! It was originally a cry in political meetings meaning something like, “Hear him! This guy’s right!” It is now just an interjection meaning, “I agree.” You get it wrong if you spell it here, here! It’s so loud in here, I can’t hear! Heard is the past and past participle form of hear. If you mean a group of cattle or sheep, you mean herd. Hey Ed, have you heard what happened to McNamara’s herd? It’s important not to confuse these words, but it’s done often. Heroin is the highly addictive narcotic. A heroine is a female hero. A true heroine would never take heroin. To hew is to chop, hack, cut off or cut down. Hue has to do with color. “Please hew the tree with the yellowish hue,” said Huey Hughes. 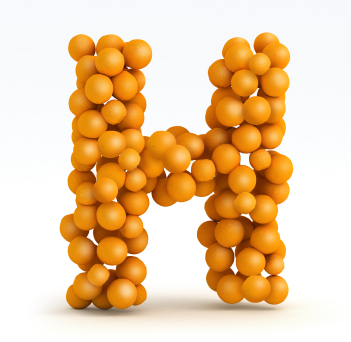 Despite its increasingly popular usage in marketing, hi is not an alternate spelling for high. High is an adjective that refers to altitude, tallness, or position. Hi is an informal greeting, an interjection short for hello. Stan said “Hi!” and gave me a high-five. Higher is the comparative form of the adjective high. Hire is a verb meaning to employ or to lease. The salary of the guy she will hire is higher than mine. Him is the objective case masculine personal pronoun. A hymn is a song intended to praise or honor something. The hymn we sang at church was written by him. Hoard can be either a noun or a verb. The verb means to accumulate for future use. The noun means the stuff that’s been hoarded. A horde is a large group or crowd. We hoarded weapons and ammunition as we prepared for the invading horde of enemy soldiers. The animal that we like to ride is a horse. When your throat is scratchy, you are hoarse. The novice cowboy shouted “Whoa!” and “Giddy up!” at his horse so much that he became hoarse. How many times have you heard bad jokes about this? Boo. If you mean something is set apart in a religious sense, you mean holy. If you mean it has holes in it, you need to add an e. If you want the adverb form of whole, it’s spelled wholly. The man with the holey sweater was only partially consecrated, not wholly holy. The unit of time requires an h. When you mean the plural possessive pronoun, it’s just our. What do you think? Please feel free to leave us a note in the comments below. To get to the airplane, I used a hanger to pick the lock on the hanger door. Shouldn’t it be hangar door?